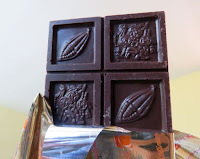 Hola and bienvenidos a (hello and welcome to) Day #1 of Chocolate and Mexico Theme Week. 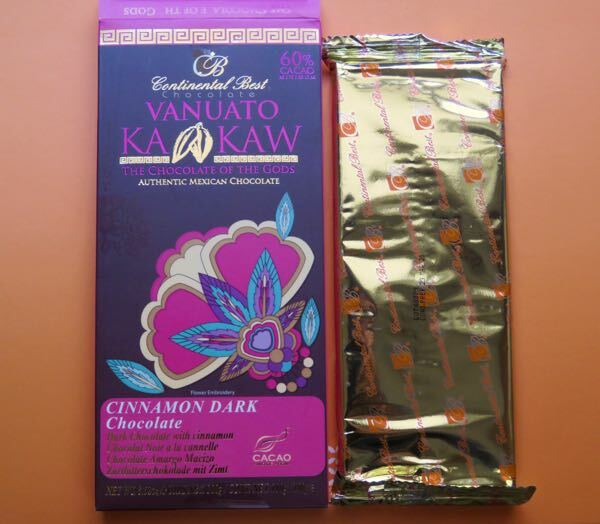 Today's Vanuato Kakow Cinnamon Dark Chocolate bar was made in Mexico with sweet 60% cacao chocolate and tiny embedded bits of cinnamon. 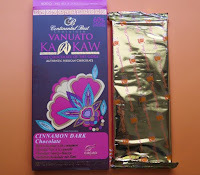 Despite the micro-spice shreds, the cinnamon flavor was quite subtle.